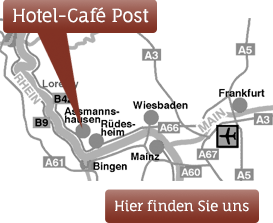 From the comfortable style café and restaurant rooms (for 20 and 40 people) and our open Rhine terrace (up to 60), you have a magnificent view of the vibrant life in the stream and along the shores, the boat piers within 200 m Distance to Rheinstein Castle, wooded heights and beautiful plants. 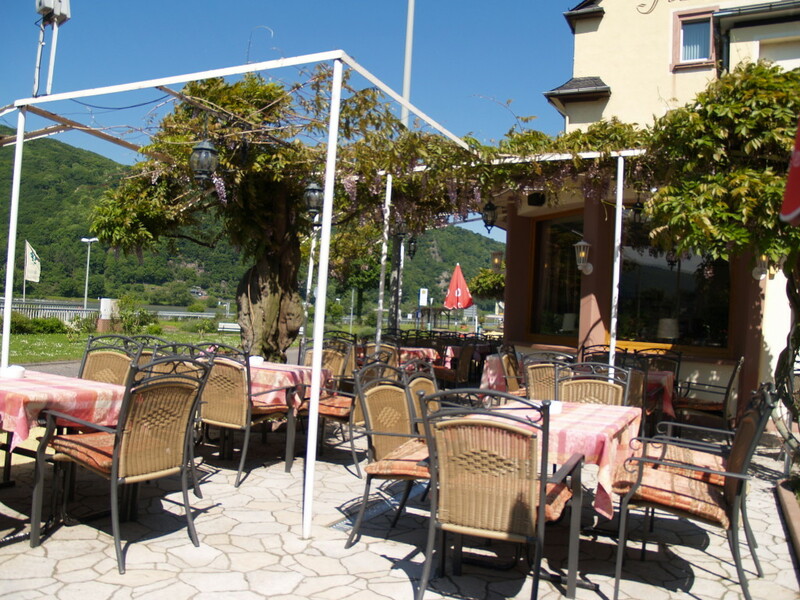 From the open terrace of the Rhine, which is shaded by wisteria. The boat piers in about 200 m away. Enjoy a unique view of Burg Rheinstein …. Schweitzer Haus vineyards of the situation Assmannshäuser Frankenthal. As well as our beautiful Rhine promenade.